We all want our cats to lead their fullest, longest lives. A healthy cat can live up to fifteen years or more. Unfortunately, even the healthiest of cats can have their lives tragically cut short because of a preventable accident. That’s why we, as pet parents, have to do what we can to keep our kitties safe. Here are six preventable accidents and how to avoid them. 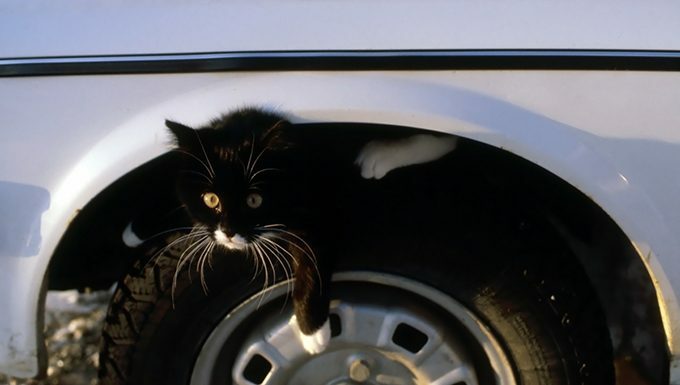 One of the top reasons vets say animals are brought to their emergency room is being struck by a car. If your cat is an independent, outdoor cat, you may think that this is simply a risk you take when having an outdoor animal. 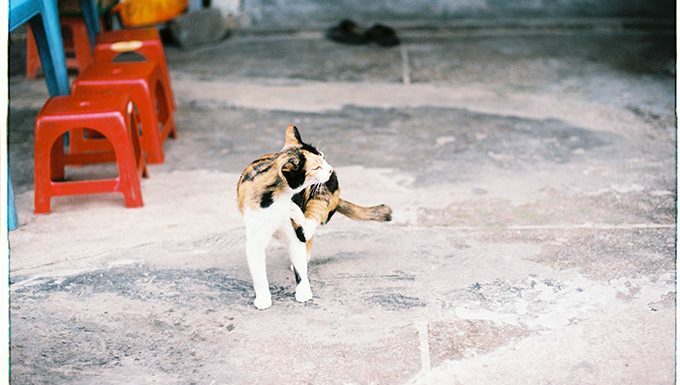 There are, however, ways to make sure your outdoor cat stays safe. If your budget allows it, you can opt for an enclosed, outdoor space for your cat to play in. Catios, as they’re called, can provide a screened in area and even attach to a window or cat door so your kitty can come and go from the house as they please. It will allow your cat to get outside without facing the dangers of roaming. There are other options besides catios, like enclosures that attach to gates or fences to prevent cats from escaping the yard. They can help keep your cat from wandering into the street. If you absolutely must let your cat roam completely free, at least be sure to have them microchipped and give them a breakaway collar with ID tags so you can be quickly contacted in case of an accident. There are a myriad of house cleaning products, plants, and human foods that could lead to sickness or even death for your cat. Educate yourself on what is toxic to cats, and either keep it out of your home or out of a place where your cat can accidentally ingest it. 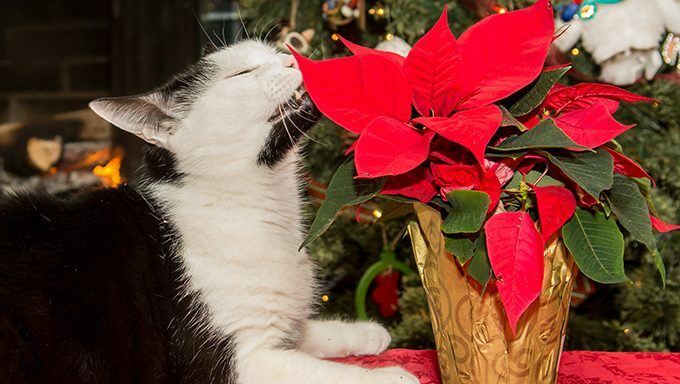 We have a few helpful lists to start with on plants, human foods, and other poisonous substances for cats. Stock photos of kittens playing with a fuzzy ball of yarn lead many to believe that this is safe for a cat to play with. Playing with string or yarn while you’re supervising may be okay. However, many cats and kittens move onto eating the string, yarn, thread, or other similar objects, which will often need to be surgically removed. Stick to toys made for cats instead of opting for a ball of yarn. 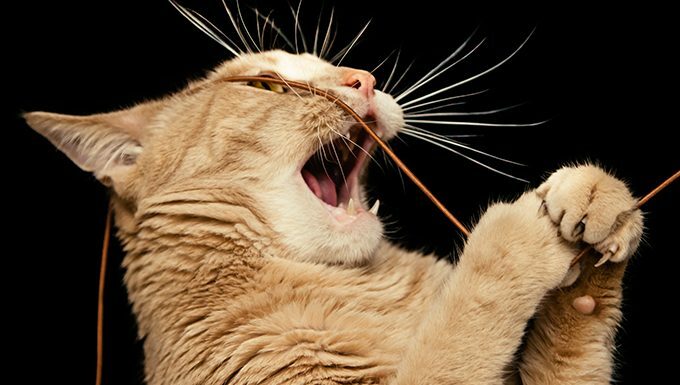 If your cat regularly chews and swallows items that aren’t food, they may suffer from a condition known as pica. If your cat shows signs of pica, talk to your veterinarian right away. Cats love warm, snuggly places, especially enclosed ones. Your dryer fits that description perfectly. Many cats have been killed in clothes dryers. This accident typically happens when there are already warm, dry clothes in the dryer. Sometimes owners throw more clothes in and start the machine back up again. 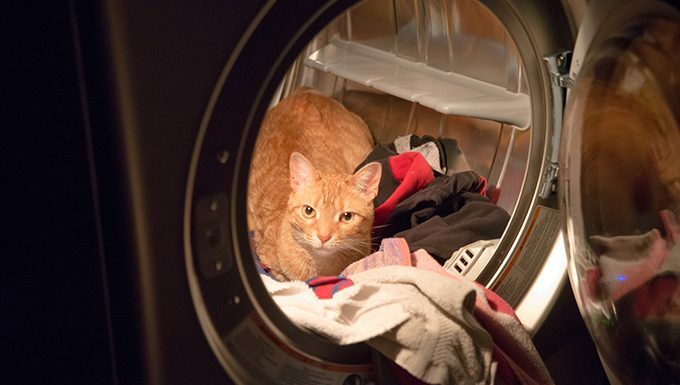 Make sure that your cat does not have access to your laundry room, and if they do, check the dryer AND washer to make sure they aren’t snuggled away. If you have more than one cat–or more than one type of animal–there is no guaranteeing that they will get along all day, every day. 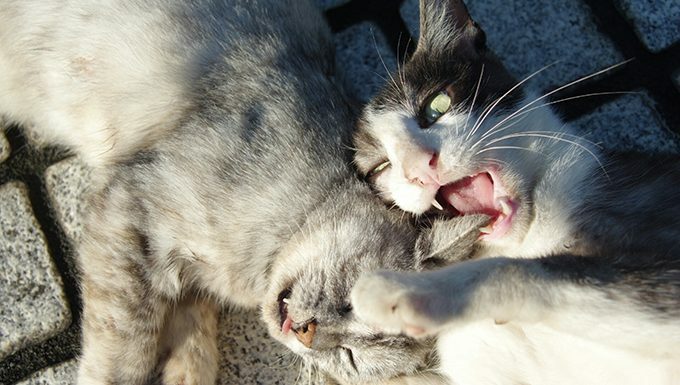 If you have multiple cats who get physical, they can cause severe damage to each other with their bites. Cats have long, pointed teeth, which create a puncture wound as opposed to a dog bite, which is more of a tear. Puncture wounds can lead to abscesses and infection. Owners of multiple cats must use training methods to ensure they will not fight. When your cats seem heated for any reason, separate them until they have had time to settle down. Pest-borne illnesses are sometimes more aggravating than lethal, but that is not always the case. If an infected tick bites your cat, they could be exposed several deadly illnesses, such Cytauxzoonosis, a lethal parasite infection; Tularemia, a fever that could lead to severe infection and, sometimes, death; and various other pathogens. Granted, these diseases are rare and require the right circumstances, but it’s still wise to use tick and flea prevention when it is so easy to do so. Even if you have an indoor cat, you can still bring things like ticks, mites, or fleas into your home. A monthly prevention medication is a simple but highly effective manner of preventing these pest-borne illnesses. Some owners opt for more natural pest control methods. You should talk to your veterinarian before making decisions about how to protect your cat from fleas and ticks. The best form of keeping your cat safe is through prevention. What do you do to insure that your cat is living all of their nine lives safely? Let us know in the comments below!